Disney’s Bob Iger may be off the list now, but other corporate chiefs can consider parlaying their careers into politics thanks to Trump. Think Starbucks’ Howard Schultz or Facebook’s Sheryl Sandberg. But shareholder approval isn’t the same as voter awareness of business stardom. 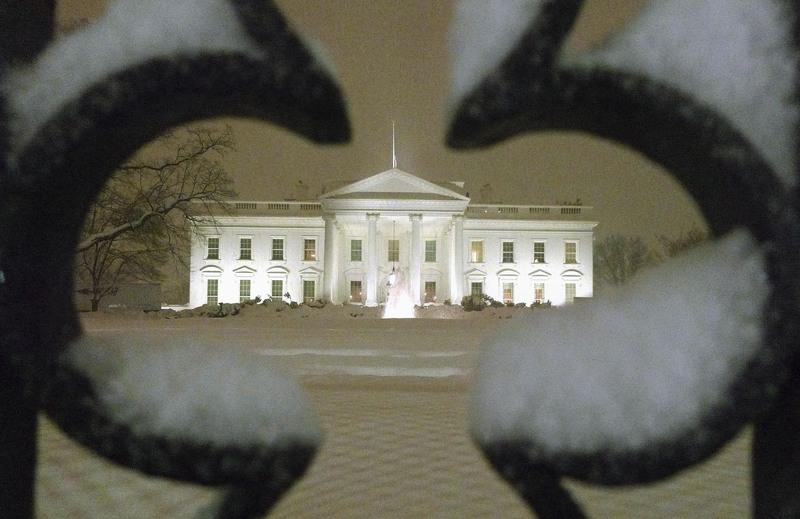 A view of the White House as snow begins to fall in Washington, February 9, 2010. Walt Disney’s board of directors on Dec. 14 extended Chairman and Chief Executive Bob Iger's contract through 2021. The request was made in part by Twenty-First Century Fox. Iger’s agreement was set to expire on July 2019. Disney agreed to buy parts of Fox on Dec. 14 in a deal valued at $66.1 billion.